Looks like there isn’t a thread for pictures of successful installs quite yet. At least not under this category. So here’s a thread to do so. @Philmographer Looks awesome, thanks for sharing! Your PVB seems to touch the wall of your home, leaving no room for tools. I guess your utility does not require a mock rock, insulation pouch and heat tape. Where do you live? @robertokc there’s a 2” gap between it and the wall. I’m not up to speed on local codes for it but thankfully, it was already installed before we bought the place 2 years ago and wasn’t an issue during inspection. Are you talking about a covering for it? I want to get one of those fake rocks or pouches but the fake rocks are super expensive for what they are. Ours if behind our fence in our back yard so it’s only an eyesore to us. What do you mean by heat tape? I put some 1” rubber pipe insulation on it, wrapped it in foil backed tape, and wrapped that in electrical tape. 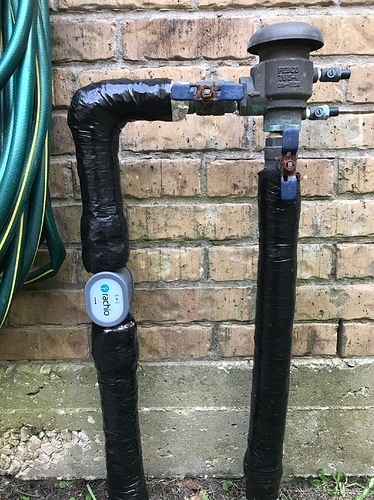 I don’t know where you live, but here in Oklahoma City a PVB must be 12 inches higher than the tallest elevation on sprinkler system, covered by an ASSE approved backflow enclosure with insulation pouch, with a self-regulating heat tape plugged into a GFI plug. This is not optional with our plumbing inspectors. Your utility is probably different. But if it freezes where you live you must winterize the device or the brass and internal parts will crack. 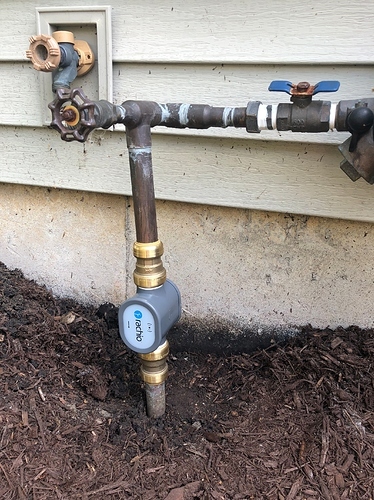 Zurn Wilkins has a great backflow winterization video. Good to know. I usually put a doubled over moving blanket over it and then cover that with a heavy duty trash bag. I rarely see mock rocks or bags over backflow valves around here. Usually just green lockable crates when they are related to businesses or neighborhood utilities. 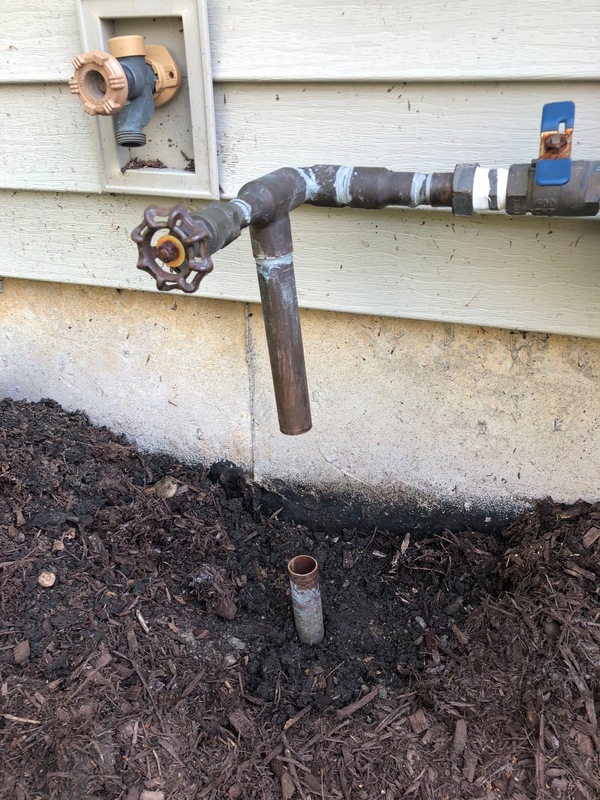 I don’t think I’ve ever seen a residential backflow valve that was covered. Usually just insulated with pipe insulation. Spring, TX is where I live. Northwest Houston. My 1 inch copper install (I did post my own “general thread” a while back but yes, one thread with everyone’s pictures is better…) For some reason they didn’t post in the correct order but you get the idea! 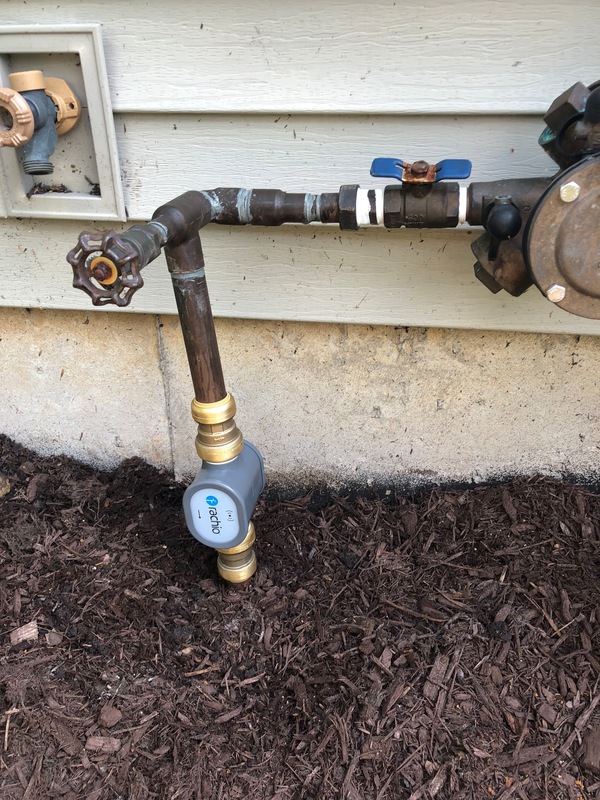 How did you get the flow meter into that empty space? 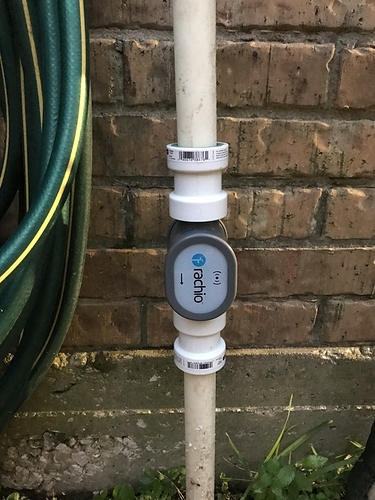 The problem for me is that the gap is shorter than the length of the flow meter plus fittings and I cannot stretch the remaining copper pipe to fit it into the fittings. I have this problem for weeks now and nobody from Rachio has offered any solutions. I am stuck with a temporary fix where I have connected the Flow meter to some PEX extensions in order to get water. How could you do it? If you are talking to me (1 inch copper install) it was tight but using the exact Rachio instructions I still had enough play in the remaining copper tubing to pull the bottom half (with the Rachio attached with the sharkbites already attached) laterally (sideways) and then pull on the upper copper tube enough to get it to go into the top. I wouldn’t call it very flexible but there was just enough to get it done. Yes, I was talking to you. 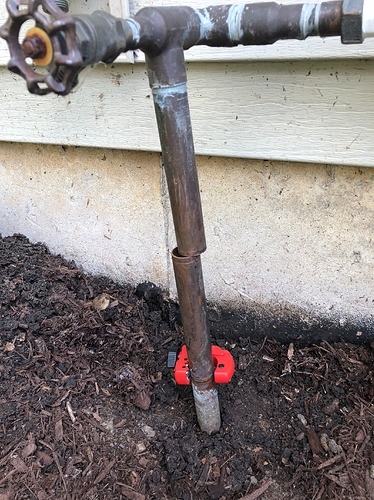 I had 3/4" inch pipe and my contraption - with the 6" extra copper piece was longer. I also got the lower part in but when I tried the upper part it was at a very severe angle and not able to come in straight to the top fitting. As a result there was no way to get it to seat with the O-ring. It does not freeze very often in Spring, TX. No need for an expensive mock rock. But if a hard freeze is expected you can follow this video. In the pictures shown above in this thread there is a threaded connection that may be a compression fitting to what looks like an RPZ assembly. If you have such a connection in a similar location could you take advantage of that - disconnect at the fitting, push on your flow meter assembly, then retighten the fitting. 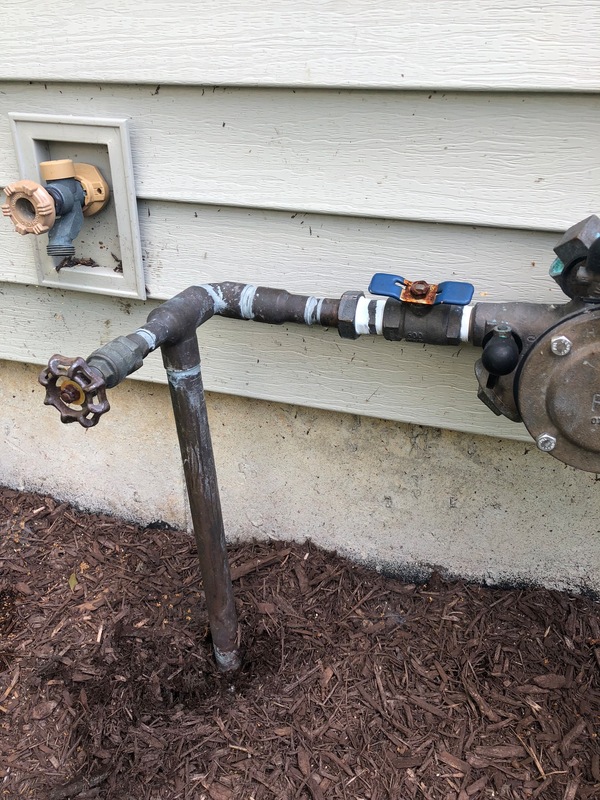 Also, if you have room and some plumbing skills, you could add two unions above and below your flow meter assembly - it adds cost, but gives an easy way to remove the entire assembly for repairs etc. should the need ever arise.